Bob Gimlin has to be the most famous and celebrated Bigfooter alive. The fact that he took part in the most famous (and controversial) Bigfoot footage of all time, has made him a living legend. Despite being in his 80's, the guy is still out speaking at all the major Bigfoot conferences. 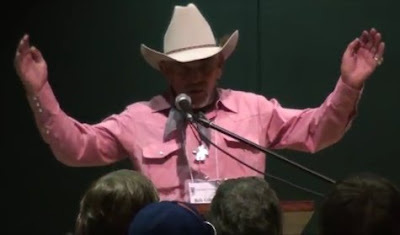 In this video taken in Yakima, Washington in 2014, Bob opens up and shares his life story. The last of the oldschool gentleman Bob Gimlin, truly love everything he says .